Do you sometimes wonder if the economy is the ‘foundation of everything’ in public discourse? Do you question the impact of this on public policy, public interest and democracy? Be part of the dialogue and join us for a public conversation on ‘economics imperialism’. The Whitlam Institute is pleased to present visiting US scholar, Dr Edward Nik-Khah, discussing ‘economics imperialism’ from its roots in neoliberalism through to its contemporary implications. Dr Nik-Khah shines a fresh light on how the world works through his deep understanding of the evolution of political and economic thought. Joining him will be Whitlam Institute Professorial Research Fellow Professor Anna Yeatman. This is an opportunity to engage with important questions of public interest in civil debate and we do hope you will join us. Refreshments from 5.30pm, talk starts at 6.00pm. Presented by the Whitlam Institute with thanks to the Reichstein Foundation and Corrs Chambers Westgarth. 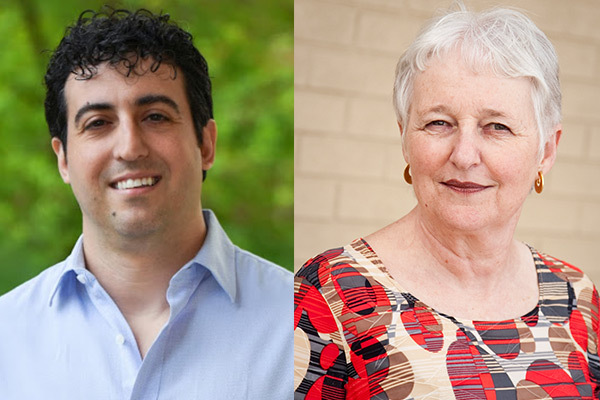 In this public conversation, Dr Edward Nik-Khah and Whitlam Institute Professorial Research Fellow Professor Anna Yeatman discuss Economics Imperialism. Dr Edward Nik-Khah is an Associate Professor of Economics at Roanoke College. He has previously completed research on the historical development of neoliberal pharmaceutical science, the role of George Stigler as architect of Chicago neoliberalism, economics imperialism, and the political economy of market design, for which he won the K. William Kapp Prize from the European Association of Evolutionary Political Economy. Current research of his (with Philip Mirowski) examines the history of the economics of information and market design in twentieth century economics. Professor Anna Yeatman took up her appointment as the inaugural Whitlam Institute Professorial Research Fellow in December 2011. She leads the Whitlam Institute's flagship public policy program under the banner of Human Rights and Public Life. Professor Yeatman has previously held professorial appointments at the University of Alberta, Macquarie University and the University of Waikato. She is a political and social theorist, who also has experience in policy consultancy work mostly in the human services. Thanks to our generous hosts Corrs Chambers Westgarth.